Happy 1st week, Funstuff Goldens R-litter! Our gorgeous Goldens are already 3 days old now and they of course have their own photo-gallery as well as the weight table where you can see birth time and birth weight of that little fatties. For more information please have a look at the Golden Retriever R-litter site. PUPPIIIIIEEES!! The first Funstuff Goldens are Born! Funstuff Goldens – puppies will be born soon!! 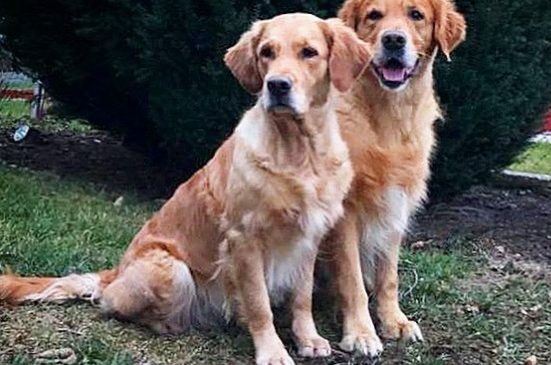 On 08.02.2019 Joey was mated by Coby and we now cross our fingers and hope for typical and active Golden Retriever puppies to be born in the beginning of April! Please click here for more information about our Golden Retriever A-litter.